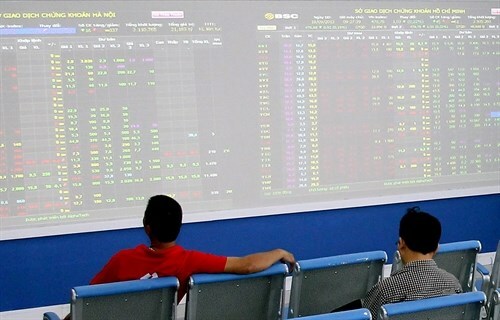 Hanoi (VNA) - Vietnamese shares recovered on July 18 from a two-day decline as steel producers advanced on Government’s support and higher second-quarter performances. The benchmark VN Index on the HCM Stock Exchange rose 1.4 percent to finish at 673.50 points. The southern market index declined by 1.6 percent in the previous two sessions. The HNX Index on the Hanoi Stock Exchange edged up 0.5 percent to close at 87.05 points, rebounding after a two-day fall of 0.9 percent. Top steel producers such as Hoa Phat Group (HPG), Hoa Sen Group (HSG), Tien Len Steel Corp (TLH), Vietnam-Germany Steel Pipe JSC (VGS), SMC Investment Trading JSC (SMC) and Vietnam -Italy Steel JSC (VIS) took turns to drive markets up. “Steel companies rose on expectations that the local steel industry will improve after the Ministry of Industry and Trade on July 18 issued a decision to impose a four-year safeguard tax on imported steel products,” Bao Viet Securities Corp (BVSC) wrote in its daily report. Confidence in steel stocks has been high during the past four months since the ministry in March issued a temporary tariff on imported steel products and global prices increased. Some of the listed steel producers have reported higher profits for the second quarter of the year and they are heading to better results during the remaining months. TLH late last week reported a net profit of 155 billion VND (6.9 million USD), an increase of 47.6 percent from the first quarter. SMC earned a net profit of 170 billion VND, nearly twice the figure in the first quarter. On the stock market, TLH, HSG, VIS and VGS surged between 6.1 percent and 6.7 percent, SMC added 1.8 percent and HPG jumped 4.2 percent. Energy stocks also helped boost the markets after oil prices were able to rise during the last two sessions of last week. PetroVietnam Gas Corp (GAS) gained 1.6 percent, PetroVietnam Coating Corp (PVB) increased by 1 percent and PetroVietnam Technical Service Corp (PVS) jumped 3.3 percent. Vietnam Dairy Products JSC (VNM) yesterday was up 2 percent to hit a new high of 150,000 VND per share. The company’s market capitalisation is now equal to 180 trillion VND or 8 billion USD. Coteccons Construction JSC (CTD) rose 2.3 percent to hit a new high of VNĐ218,000 per share, becoming the highest-value stock on the market.